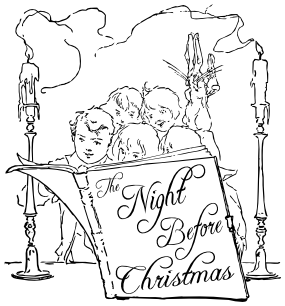 “A Visit from St. Nicholas,” also known as “The Night Before Christmas,” is a poem first published anonymously in 1823 and later attributed to Clement C. Moore. This entry was posted in 800 Literature and tagged children's book, Christmas, holiday, listen, poem, read, saint, Santa Claus, St. Nicholas, video, vintage. Bookmark the permalink.